Fatigue, modest weight gain, and poor growth can indicate a childhood thyroid disorder. Dr. Chhavi Agarwal of Pediatric Endocrinology of New York, with locations in both Scarsdale and Flushing, New York, specializes in diagnosing and treating thyroid disorders in children. The thyroid is a butterfly-shaped gland located at the lower front of the neck that produces hormones responsible for metabolism and physical growth. In infants and children, thyroid hormones are also critical for healthy brain development. While thyroid problems typically affect adults, they can occur at any age, and in rare instances, infants are even born with thyroid issues. Hypothyroidism, which is the most common type of thyroid disorder among children, occurs when the thyroid doesn’t secrete adequate levels of thyroid hormone. Untreated, hypothyroidism can lead to intellectual disability and prevent healthy physical growth and development. Hypothyroidism can be either congenital (present at birth), or develop later (acquired hypothyroidism), typically during late childhood or adolescence. Acquired hypothyroidism is most often caused by the autoimmune disease Hashimoto’s thyroiditis. Hyperthyroidism is a condition in which the thyroid hormone is overactive, producing excessive thyroid hormones. Relatively rare in children, this condition, left untreated can affect growth and development, and also lead to heart problems. The most common cause of hyperthyroidism in children and adolescents is an autoimmune disease called Graves’ disease. How are thyroid disorders in children diagnosed? Dr. Agarwal evaluates each child’s medical history and conducts a complete physical examination. This includes simple blood tests to measure the hormones produced by the thyroid and pituitary glands. The pituitary, a pea-sized gland located at the base of the brain, also makes hormones that affect growth and other body functions. Normal ranges of hormone levels differ between children and adults. Therefore, it’s important to have your child evaluated by a pediatric endocrinologist. What happens after a diagnosis is made? Once an accurate diagnosis is made, Dr. Agarwal will discuss all treatment options with you. 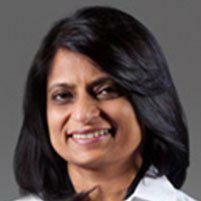 She is extremely experienced with an impeccable track record in helping children with all types of thyroid issues. Both hypothyroidism and hypothyroidism are highly treatable.